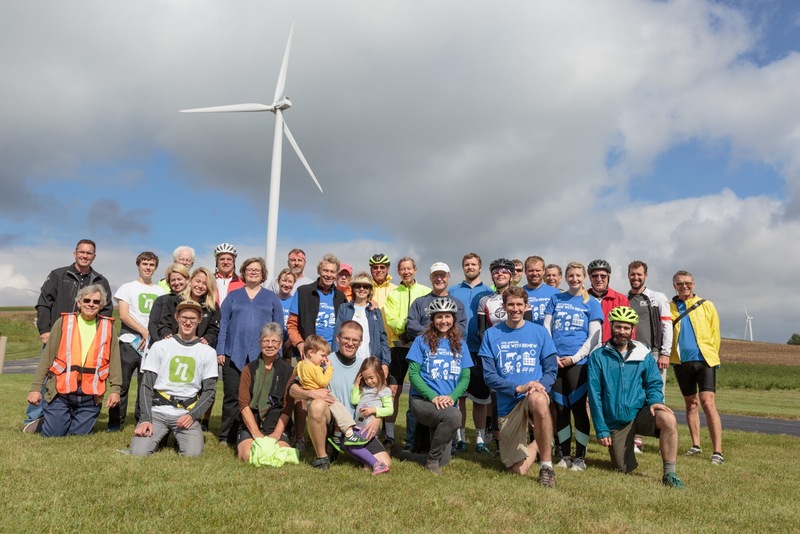 Renew Wisconsin: 2016 Ride with RENEW: Better than ever! This past Sunday, October 2nd, RENEW Wisconsin hosted our 4th annual Ride with RENEW! While the day started off cloudy and a bit rainy, we finished our 33 mile ride in sunshine. 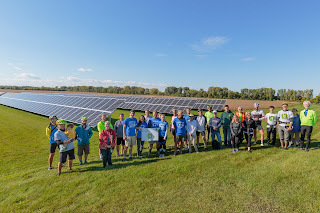 We saw some fantastic renewable energy installations in the Fond du Lac area, and with a deadline of Friday, Oct 7th, we have raised $14,800 towards our $15,000 goal! Thank you to all 202 donors who supported our Bike Ride this year thus far, and if you haven’t yet had the chance, please consider helping us meet the final $200! 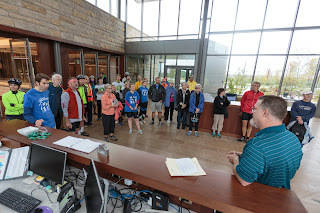 With that, we will successfully meet our $15,000 fundraising challenge from John and Mary Frantz for the 4th year in a row, bringing our 2016 total up to $30,000 for RENEW Wisconsin! We are honored by the continued generosity of John and Mary, and all our other supporters over the past 25 years. We continued our trend of increasing ridership each year with a new record high of 41 riders this year! Thanks so much to everyone who turned out on Sunday. This year, we were lucky enough to have Brian Kolstad of Wisnet.com accompany us as our official photographer, and he got some great shots! We put together an album on Google Photos so everyone can see the highlights of the day. 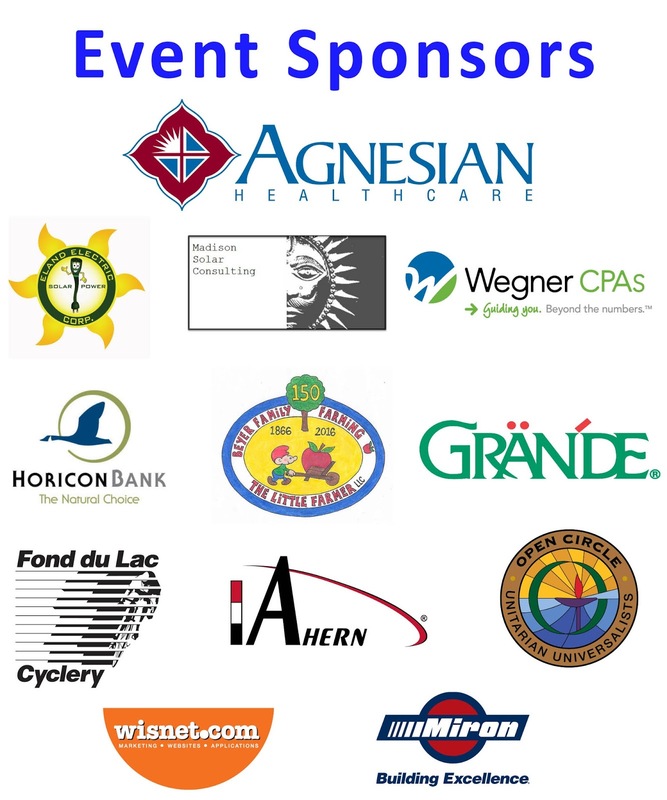 Special thanks to our sponsors, and also our excellent hosts from Fond du Lac: Jeanne & John McDowell and Tom Schuppe. We couldn’t have done it without all their hard work! We began the day with brief overviews of the renewable energy measures taken by UW-Fond du Lac and Fond du Lac High School, which are right next to each other. David Demezas told us how UW-Fond du Lac incorporates a demonstration solar panel into its curriculum, while Margie told us about the process Fond du Lac High School went through to install geothermal heating and cooling at the facility that saves the school $290,000 annually on its energy bill. 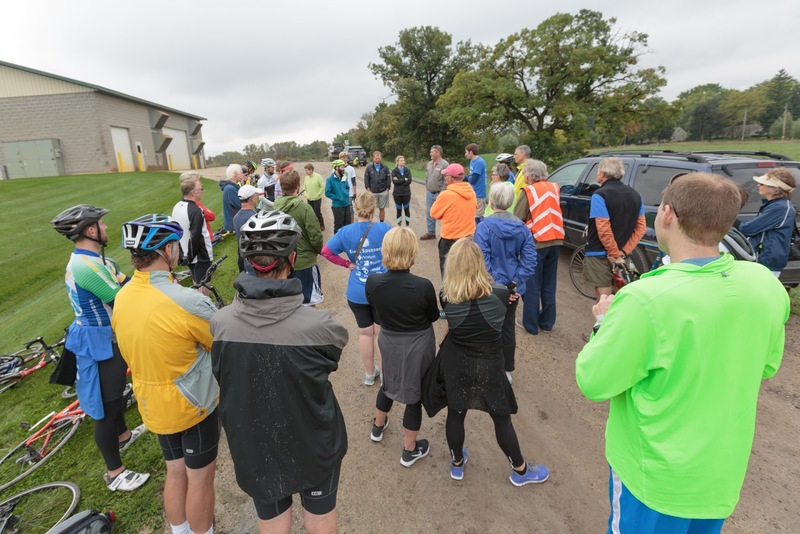 Next, we rode along the freshly completed Fond du Lac Bike Loop to Grande Cheese’s new research center and headquarters. Grande Cheese applied for LEED Gold certification, and we got to tour with Scott to learn about all the energy efficiency measures taken by Grande Cheese. And, it gave us a chance to warm up inside! After our tour of Grande Cheese, we stopped at Vir Clar Farm, a 2,000 head dairy farm, to visit the anaerobic digester there. Grant Grinstead, fourth generation owner of Vir Clar Farm, gave us the details on why a digester made sense for his family, farm, and community. The farm is “producing milk and power for America” – enough power for 800 homes. Then we had our most difficult climb of the day, a ride up the Niagara Escarpment to our lunch destination, Eden Community Center. Thanks to Eden Meat Market Catering for our delicious meals, and to Agnesian Healthcare for sponsoring our lunch! After lunch we headed to the Cedar Ridge Wind Farm in Eden, WI, owned and operated by Alliant Energy. Brian Dierksheide of Alliant Energy told us about the wind farm, which produces enough energy for 17,000 homes’ annual usage in the area! Brian said throughout the lifetime of the wind farm, it has displaced enough coal to fill a coal train 80 miles long – pretty impressive. Finally, on our longest leg of the trip, we headed to the Sisters of St. Agnes’ 250 kilowatt solar array. 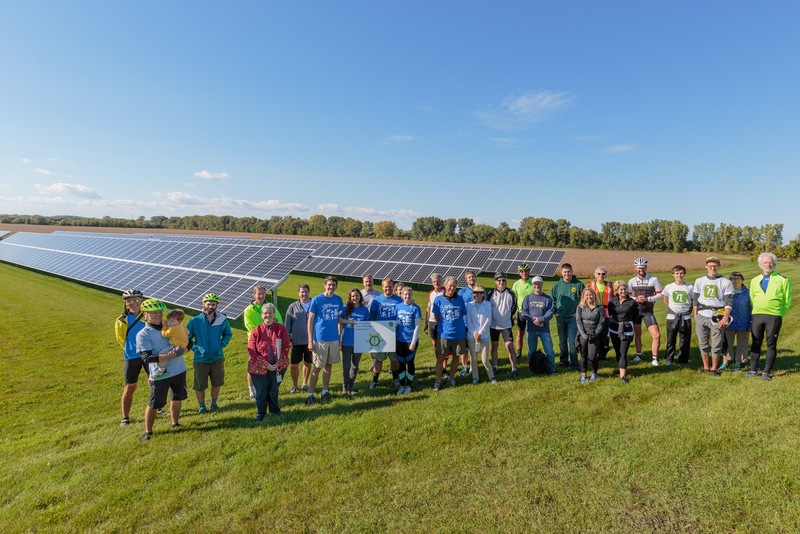 With the sun shining bright for the first time all day, Sister Sue spoke with us about why her congregation decided to install solar, and Jesse Michalski of Eland Electric, who installed the project and sponsored this stop, told us how the project operates. Overall, it was a great day of riding and renewable energy! A huge thank you to everyone who helped us make this event possible, particularly all our generous donors, John and Mary Frantz for once again providing the match, and our local hosts, Jeanne & John McDowell and Tom Schuppe. If you donated $35 or more, you are now considered a member of RENEW and we are happy to have you with us. You will receive e-newsletters from us and can keep up to date via our website and blog.